The 2019 Sideliners' Dinner will be held on Thursday, May 23rd. Click "HERE" for more info. Wadsworth Lodge No. 417, F. & A.M., held its first meeting on January 26, 1856 at 53 State Street, Albany, New York. It was then granted a Charter by Grand Lodge of New York State on June 6, 1857. 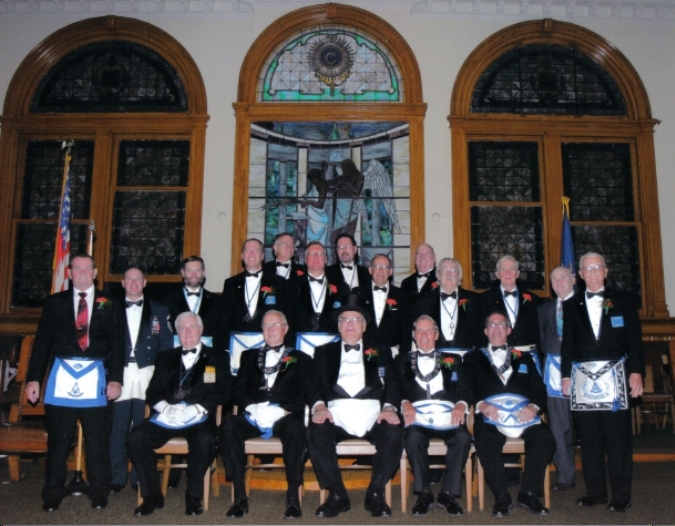 The lodge was instituted and officers installed by R.·.W.·. A. Wharton. R.·.W.·. Ebenezer Wadsworth became the first Master, serving two years, and was also the lodge's first R.·.W.·. brother. For the first forty years, Wadsworth Lodge was located at several places in downtown Albany. 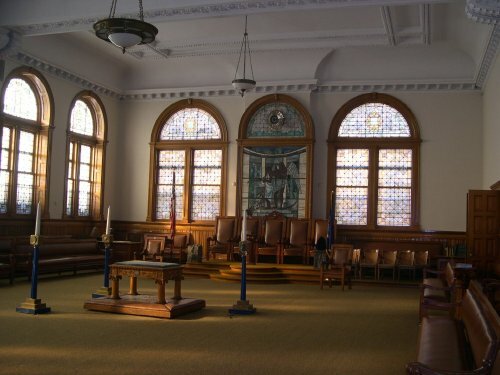 In 1896, the lodge moved into it present quarters in the newly constructed Albany Masonic Temple on Lodge Street. The temple stands within sight of the New York State Capitol building. 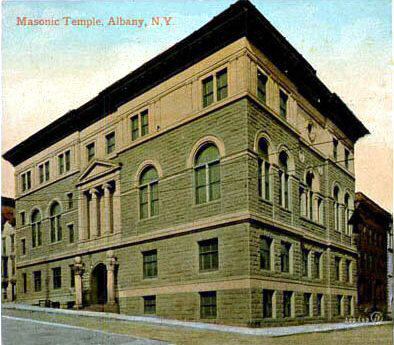 The Albany Temple is built on the same site, where, on May 12th, 1768, the cornerstone was laid for the first lodge house built and owned by a Masonic lodge (Master's Lodge No.5) in North America. Since that time, this property has remained continuously vested in the hands of the Masonic Fraternity, the oldest such property known to exist in the world. 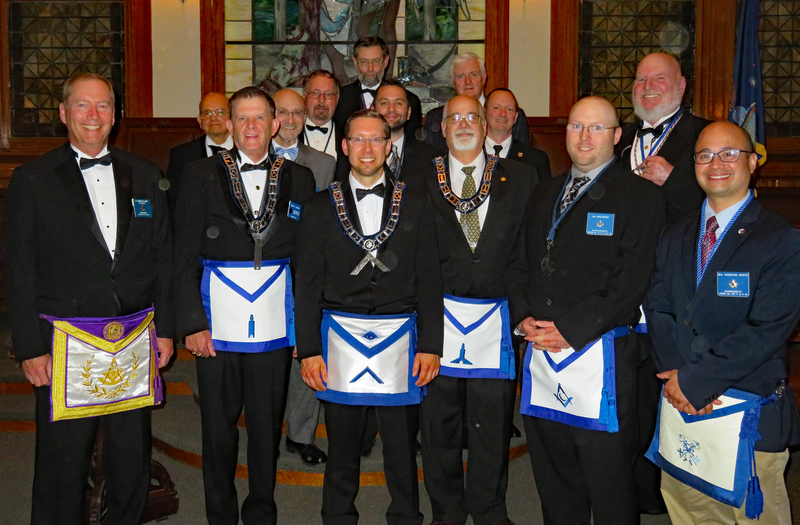 Wadsworth Lodge meets on the second and fourth Wednesdays, in season. Please contact the Secretary for more information on visiting the lodge. We were treated to an historic event at our second Stated Communication of 2007 when we reinstituted the old Wadsworth custom of having our Past Masters put on our first Entered Apprentice Degree of the season. Wadsworth was fortunate to have many Past Masters who are willing to contribute their time and talents to the operation of our Lodge. Eighteen Past Masters participated in this degree and all parts, from the Master to the Tiler, were filled by Past Masters. Read or Download the latest "SIDELINER" newsletter. This web site was originally created and maintained by Distinguished Brother Robert Fickies as a service to his Masonic brothers.